To run directly or open the Desktop in Windows 8 / 8.1 after Login (logon) and skip start screen please use the command prompt (cmd): cmd.exe SCHTASKS ! When You have already activated: .... in Windows 8 / 8.1 auto login without entering a password! 1.) ... Solution for Windows 8.1! 2.) ... Solution for Windows 8! 1.) Solution for Windows 8.1! Please use the keyboard shortcut [Windows+D] to see the Windows 8.1 Desktop. (Image-1) Go to the Desktop in Windows 8.1 at Login, skip start screen! 2.) Solution for Windows 8! Please start cmd.exe in admin mode: ... start the Windows 8 cmd.exe (command prompt) in administrator mode! To see the task open Computer Management [Windows-X] in the tree-view System Tools, Task Scheduler,"Task Scheduler Library"
Windows-8 - FAQ-106: Directly Open Desktop in Windows 8.1 and 8 at Login, skip start screen, how to? You can activate and use the Quick Launch bar in Windows 8 to be visible in the desktop taskbar. Direct to desktop windows 8.1 cmd? How to skip login for windows 8.1? Windows 8.1 skip logon screen? Windows 8.1 login desktop and on Win 8.1? Open desktop from windows 8.1 start screen? Windows 8 login to desktop? Windows 8.1 open in desktop? Windows 8 login to start? How display desktop windows 8.1 after login? Start desktop when login windows 8? Windows 8.1 logo to desktop view? Windows 8.1 on log on open desktop? Windows 8.1 login to desktop? Login into windows 8 and go to start screen? Windows 8.1 open to desktop? Windows 8.1 start directly to desktop? Skip start screen windows 8? How to skip windows 8.1 log in? Direct open desktop when switch on windows 8? Skip windows 8.1 and 8.1 login screen? Login directly to desktop windows 8? How to directly login to dek? Windows 8.1 schtask boot to desktop? Windows 8.1 logon to desktop? Open desktop or login to desktop? Log in directly to desktop in windows 8.1? How to start the login swcreen directly for win 8.1? Add shortcuts to windows 8.1 startme tn 8.1? Windows 8.1 login directly to desktop? Win 8.1 open to desktop? How skip login in windows 8? How to open windows 8.1 wothout loging in? Windows 8.1 how to open on desktop? Windows 8.1 open directly desktop? How to log-in to win8.1 directly? Windows 8.1 classic logon screen? How to skip log in to desktop windows 8? Windows 8.1 when logon goto desktop site? How to open directly destop windows 8.1? Login to desktop windows 8.1? Display direct desktop after login in windows 8.1? Open windows 8.1 to log on screen? Login to the desktop on windows 8.1? Windows 8.1 skip account control logon? Logon to desktop in windows 8? 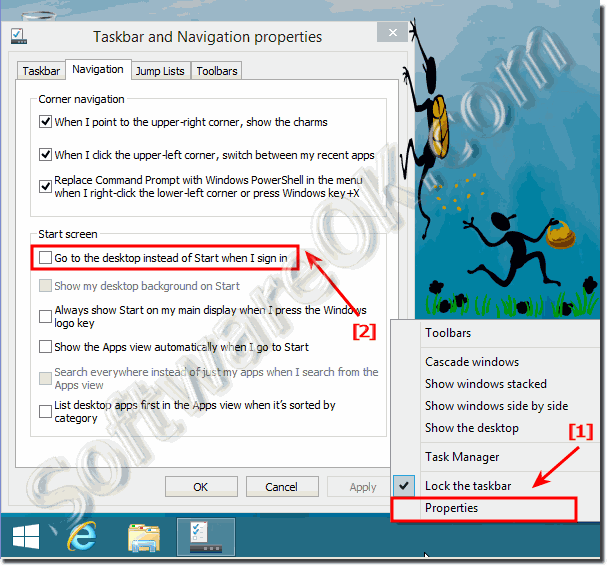 How to bypass windows 8.1 default screen and launch ie at start up? Windows 8.1 direct log on to windows destop? Windows 8 logon to desktop? Windows 8.1 how open desktop? Windows 8.1 login start at desktop? Desktop after login windows 8? Windows 8 and 8.1 start skip? How to open windows 8.1 directly to the desktop? How to boot to the desktop in windows 8.1 skip the start screen? Logon to desktop in windows 8.1? Launch desktop windows 8.1 at login? Open desktop in windows 8? Logon to windows 8.1 desktop? How to bypass windows 8.1 password activation screen? Windows 8.1 open desktop default? How to direct open desktop on windows 8? How windows 8.1 open desktop? 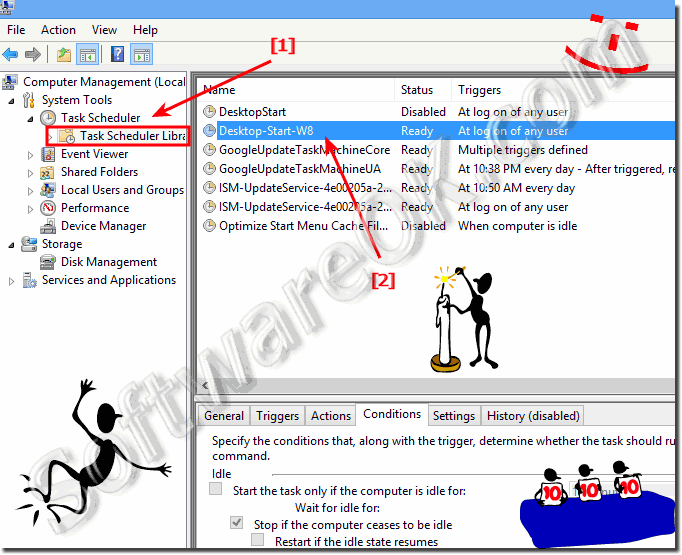 How to skip ilivid manager in windows 8.1? How to skip login windows 8.1? Open desktop at login in windows 8? How tn create a new account in windows 8.1 through command prompt? How to login directly to desktop in windows 8? Startscherm windows 8.1 openen vanuit desktop? Windows 8.1 sing in directly to desktop? Windows 8 desktop at logon and start to desktop windows 8? Windows 8.1 start from desktop after login? Windows 8.1 logon directly to desktop? From sleep, open to classic desktop in 8.1? Logon to desktop windows 8.1? Windows 8.1 open desktop on login? How to skip windows 8.1 logon screen?